Menorca is the farthest east of the Balearics, an archipelago between Spain and Italy that includes the better-known islands of Mallorca and jet-set Ibiza. But Menorca comes without the crowds or the 50-euro club cover charges. 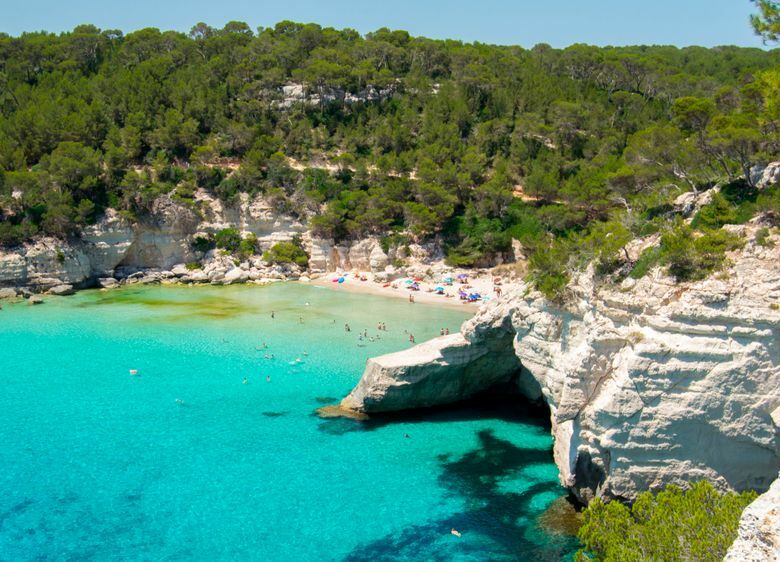 MENORCA, Spain — Locals say Menorca can be reduced to three words: water, fire and stone. 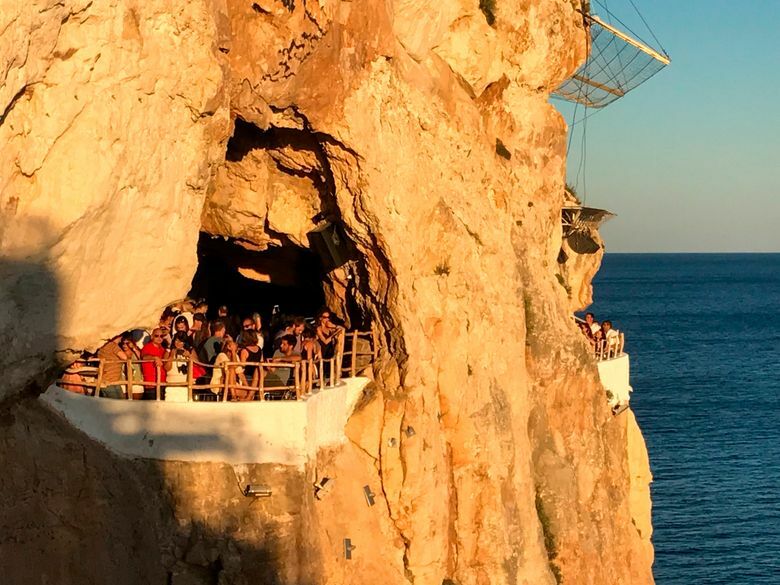 The Spanish island’s three essential elements are embodied in Cova d’en Xoroi, a natural cave that houses a sophisticated lounge halfway down a cliff. As the sun dips into the Mediterranean, waves crash on the rocks below and selfie-snapping patrons burn the same roasted-orange color as the sun-bleached limestone. Then the staff lights torches under the craggy roof, and the laid-back venue transitions into a lively night club. Although the scene may sound as summery as a frozen mojito, it’s repeated nightly well into autumn, when Menorca remains as beguiling as it is in peak season. Through much of October, it’s still warm enough to enjoy the spectacular beaches, but visitors will find the island has plenty to offer besides sun and transparent blue waters. 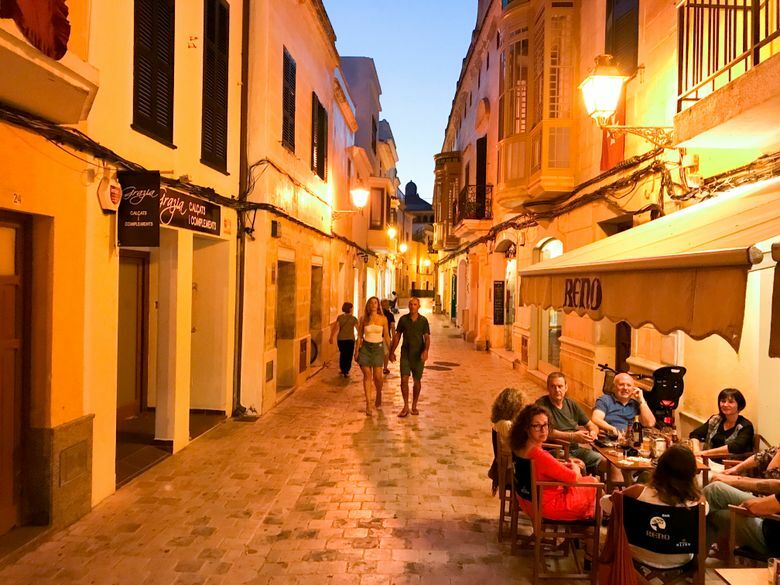 Through the winter, several airlines offer direct flights to Mahon from the Spanish mainland and several European capitals. In nice weather, overnight ferries from Barcelona are the insider’s way to go. Spanish and a dialect of Catalan called Menorquin are the local languages, but many people, especially in the tourism industry, speak some English. 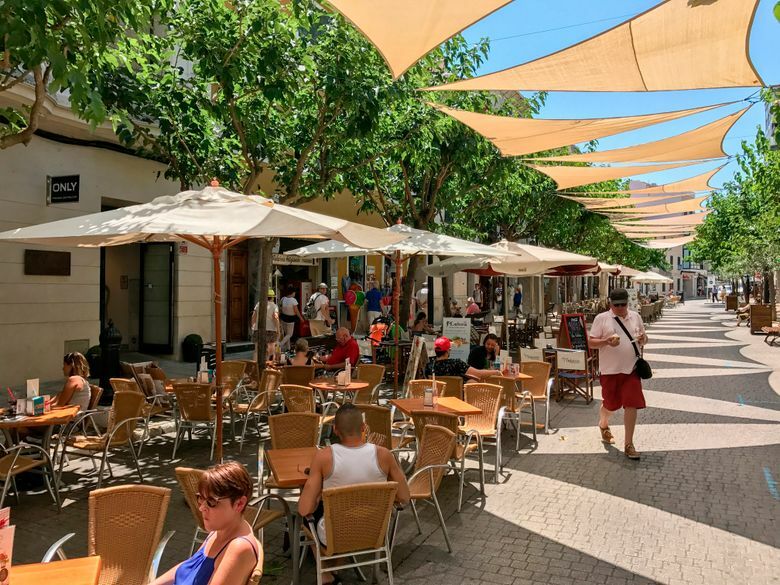 Here’s a look at Menorca and its vibrant cities, in a season when you just might have them to yourself. Menorca is the farthest east of the Balearics, an archipelago between Spain and Italy that includes the better-known islands of Mallorca and jet-set Ibiza. 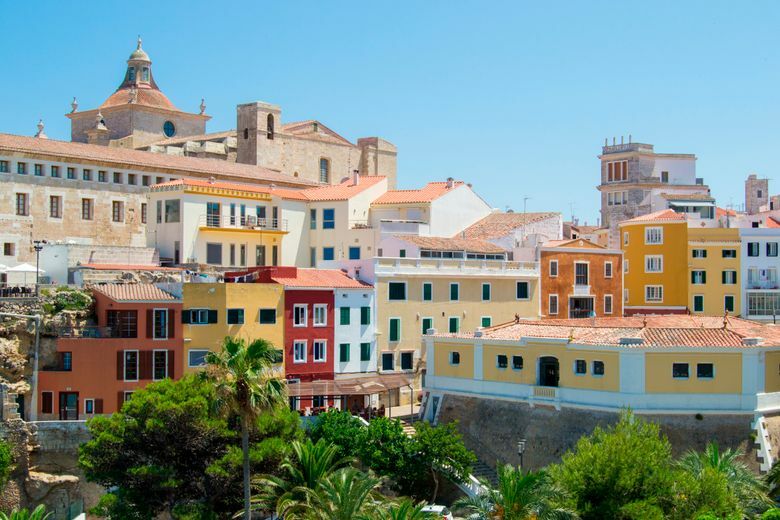 All three enjoy an enviably mild climate in a picture-postcard setting, but Menorca’s comes without the crowds or the 50-euro club cover charges. It has managed to hold on to an understated, calmer style by restricting development to a few existing, mostly low-rise resorts. 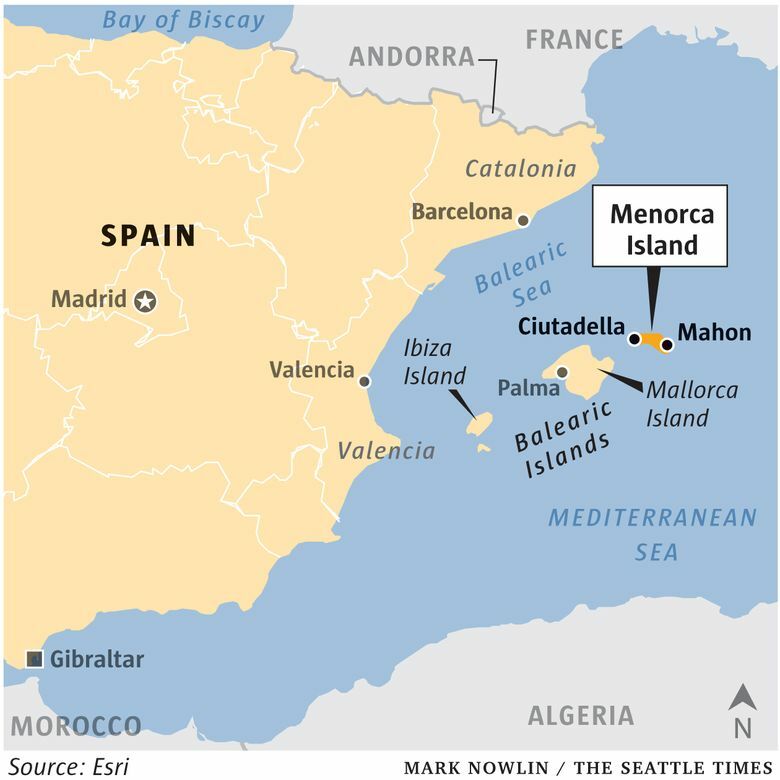 The entire 270-square-mile island was declared a UNESCO biosphere reserve in 1993, and as a result, most of the 125 beaches that encircle Menorca’s jagged coastline have very little, if any, development. Along the south coast, walking paths that start at inland parking lots wind through forested ravines to the beaches. 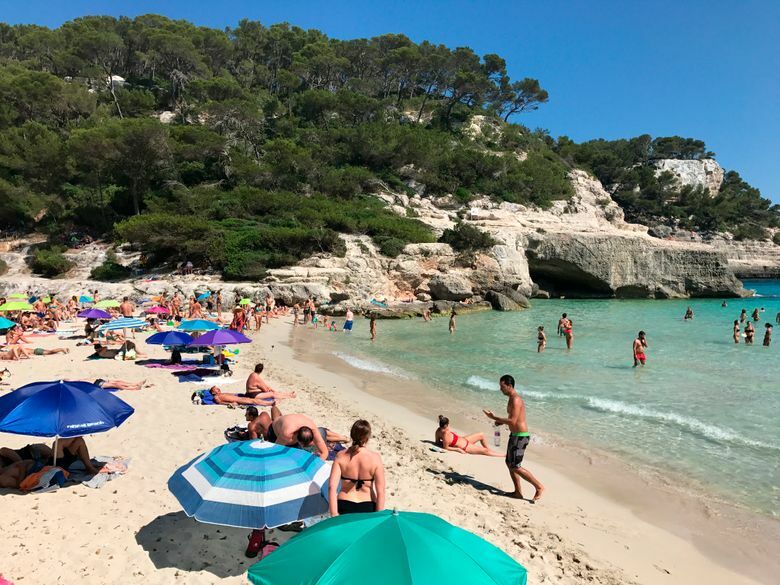 Cala Mitjana’s powdery white sand is surrounded by cliffs, and the calm, shallow water makes it easy to explore a cave and the rocky crags with snorkeling gear. In the north, Cala Cavalleria is a little easier to get to but no less unspoiled. The water may feel warm into autumn, but visiting after the peak summer months also means paying half-price for activities such as hiring a boat with a private captain. Just plan ahead and check the weather for wind as well as temperatures. The ancient Phoenicians called it “Nura,” or the Island of Fire. Legend has it that passing sailors saw bonfires built along the southern cliffs, which the original inhabitants used to signal each other. Signs of those first settlers — Iberian tribes that came from the mainland in the Bronze Age — are still apparent in more than 2,000 stone monuments spread throughout the island. The Talaiotic society left stone temples, burial chambers and monuments that resemble smaller versions of Stonehenge. Some of the larger clusters require tickets and have English guides in high season, but there are so many monuments that most aren’t even marked. You might stumble upon them while hiking along a walking path, hidden in tall grass. Taken together, they comprise one of Europe’s largest open-air museums. The following millennia brought ever more visitors and invaders, including the Greeks, Moors, French and Catalans, but no outside culture has left a more lasting stamp than the British. They ruled the island intermittently during the 18th century and moved the capital to Mahon from Ciutadella, which had been founded before the Romans arrived but was destroyed in the 16th century by the Turks. The English legacy shines through in the sash windows of Mahon’s architecture and in the active gin trade. The Xoriguer gin distillery is a cool spot for a pre-dinner tasting in Mahon, and I saw beach-friendly bottles of frozen gin and homemade lemonade frequently for sale, including at an ice cream shop in Ciutadella. Though beaches get all the limelight, much of Menorca’s economy is agricultural, evidenced by the fact that there are more cows than people. Small farms, separated into miniature parcels by dry stone walls, cover the rugged hills of the interior, producing a shocking variety of produce (40 types of apples, for instance), olive oil, wine and the delicious Mahon cheese. The cheese even made it into my ice-cream cone at Ambrosia in the capital — not cheesecake, but chunks of sharp, near-cheddar cheese mixed with vanilla ice cream. Somehow, it worked. 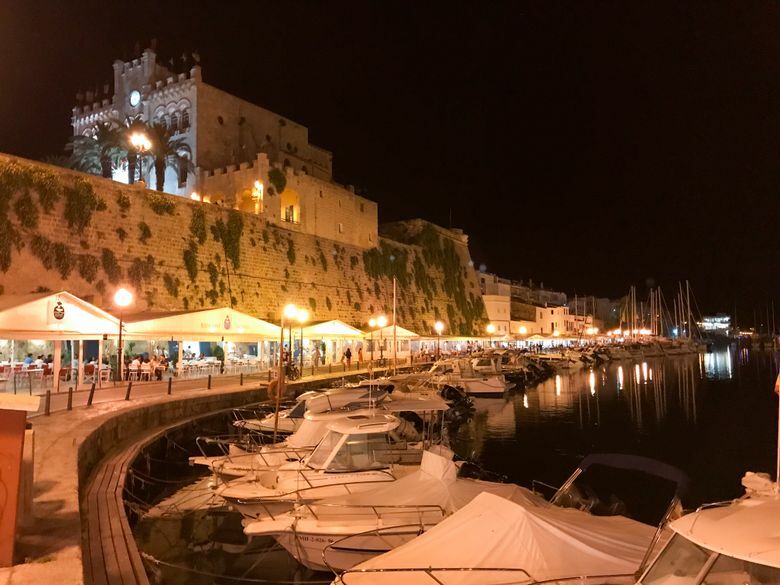 Menorca’s ecological sensibility resonates at spectacular restaurants in the atmospheric cities, which overlook natural harbors surrounded by battle-ready fortifications. In Ciutadella, check out Es Tast de na Silvia, the only Slow Food-certified restaurant in the Balearics. They serve updated takes on local dishes such as fideuà, a sort of seafood paella with noodles. Over the dining room, an arched stone ceiling is stamped with the year 1704.